His parties are famously raucous and carry on until dawn - here's why we'd LOVE to be at one of Jason Derulo's shindigs. 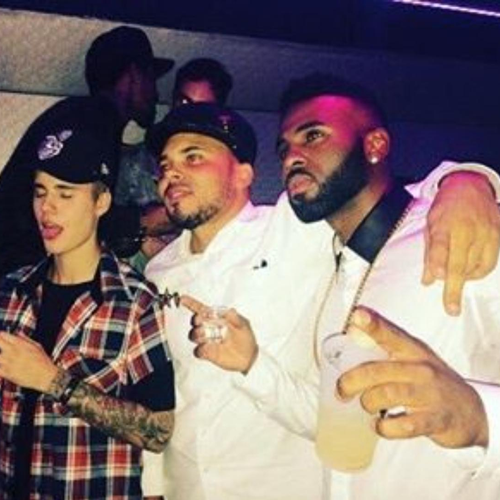 He's the king of partying - Jason Derulo knows how to throw a SERIOUSLY good night! With a multi-million dollar pad as the backdrop for his incredible pool parties, there are PLENTY of reasons you'd KILL to be invited to one of Jason's soirees! WATCH: Jason Derulo And James Corden Form A #Bromance In HILARIOUS Carpool Karaoke! He's pretty much got a castle in LA but Jason once cranked up the volume SO high that a police chopper was called and he almost ended up with an eight year jail term. Now THAT's commitment to a good party! Yep, on a recent night out Jason had the "whole chart" partying in his section - and if that isn't cool we don't know what is. No, but seriously - we'd kill for 5 minutes in this place let alone to LIVE here. Jason, we're seriously jel. No wonder he gets noise complaints if he wants to party with 80,000 people - just like he did at Capital's Summertime Ball! Two hotties for the price of one? You don't have to convince us! Seriously, have you SEEN those moves? We're not sure this should apply to drinks, but apparently it does! Well, you didn't expect it to be a quiet one, did you?! After the club @daofficialfresh & @mrmovi3 in IHOP sleep like... #captionthis #familyfirst #itgoesdownatihop #aftermath #twinsornah ? Jason Derulo Says His Little Mix Collab On ‘Secret Love Song’ Is About A Real Affair!